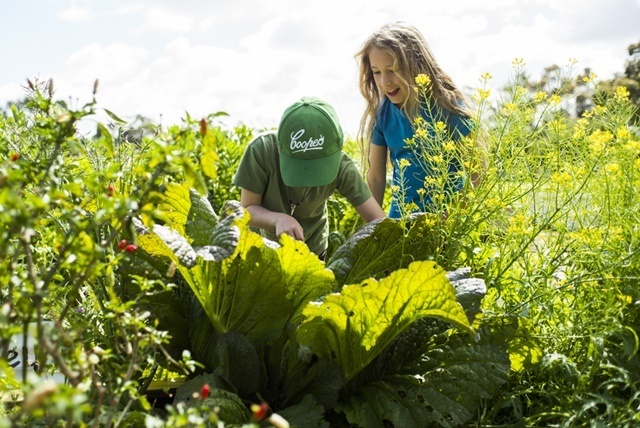 The Hilton Harvest Community Garden is located in the heart of Hilton and there are many ways you can get involved with this productive group. They have regular events and gardening days and everyone is welcome to all of their events regardless of age, ability or gardening skills. All their events are free to attend (entry donations are however optional) and you can find out more about them at their website. Their next event will be a Twilight Fair and this will promise to be the best community powered, sustainable fair around! It will feature local talent and is all-ages-friendly. This fair will be held on Saturday 30th March 2019 from 4.00 pm until 9.00 pm. It will be held at the Hilton Harvest Community Garden, Rennie Crescent, Hilton. It would not be a fair if there were not food, so "let the man eat" as the saying goes. 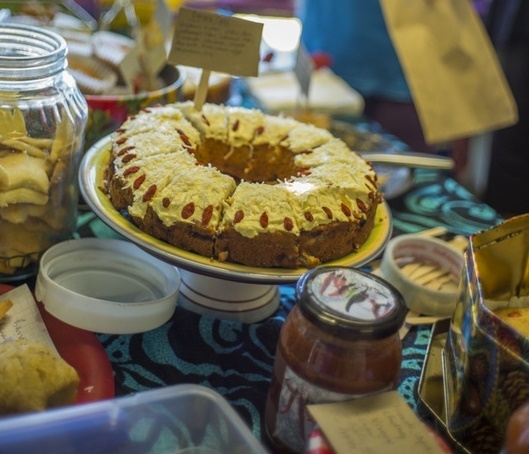 They will be serving delicious, wholesome food from their pizza oven plus the famous P&C dahl, a sausage sizzle, sodas, fruit ice-cream, homemade cakes and more. The full entertainment line-up is yet to be announced and you will be able to see this by clicking on their Facebook link. Hilton Harvest was started in 2009 by a passionate group of Hilton residents led by Dr Maggie Lilith. The garden came about out of the desire to build a garden that would be resilient to the pressures of climate change and the like. 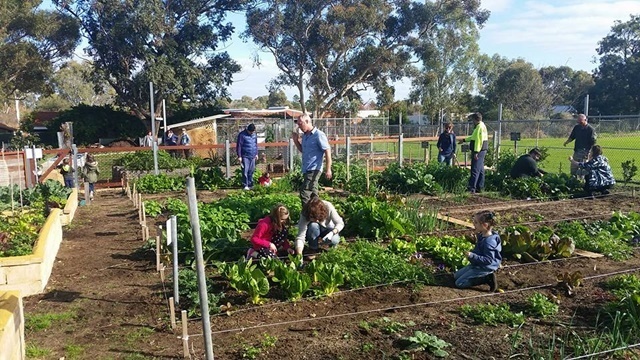 At their first community meeting at Progress Hall, there were about 60 residents who turned up ready to support the garden and give a helping hand. After talks with the City of Fremantle and the Department of Education, the Rennie Crescent South site was secured. Their first site plan was prepared by Coda and this enabled them to start the project. They then planted out their first garden bed in early 2010. Their vision is "Hilton Harvest Community Garden is a hub for gardening, community building and education anchored in sustainability". Their objectives are to encourage and nurture people's interest in gardening by demonstrating organic gardening practices. They also provide a public green space that encourages social interaction among people of the community. 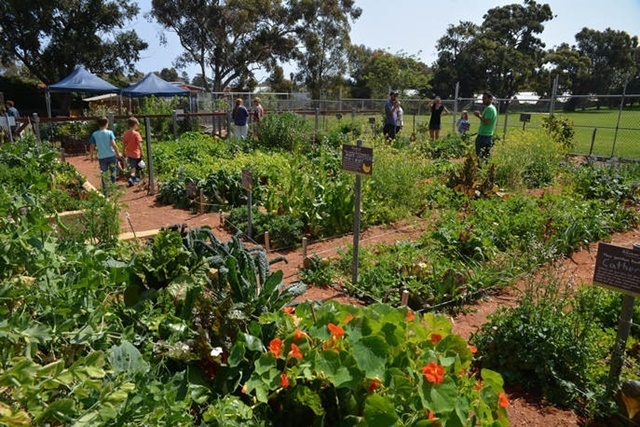 They aim to bring people together through their activities in the garden. Their objective is to also share information on everyday sustainable living.